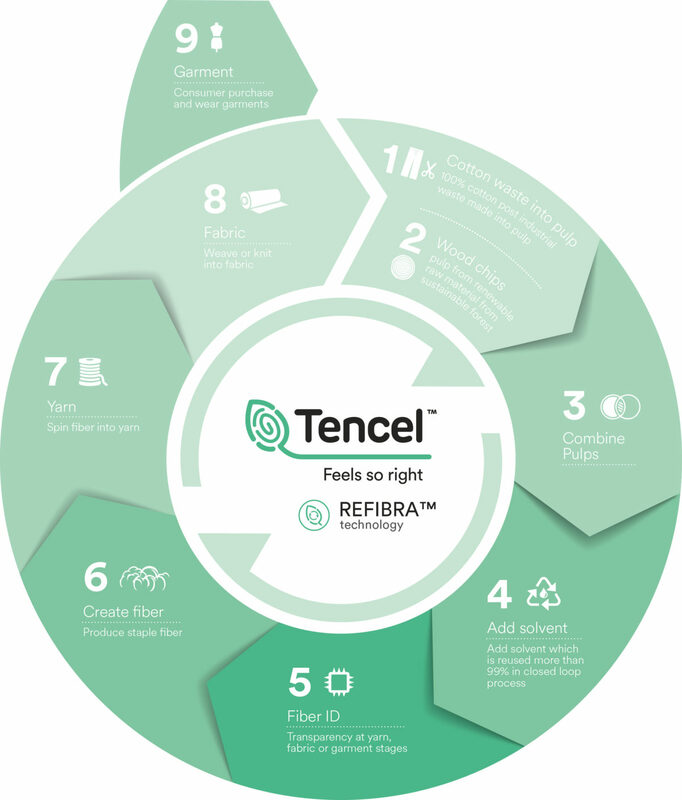 TENCEL™ fibers with REFIBRA™ technology have been introduced to the market in 2017. TENCEL™ lyocell with REFIBRA™ Technology is the first commercially available cellulosic fibre featuring chemical recycled content, certified with Recycled Content Standard. No loss in quality of the product due to chemical recycling process of fibers with REFIBRA™ Technology. The certifi­ed bio-based fi­bers are manufactured in an environmentally- responsible production process. The fi­bers are certifi­ed as compostable and biodegradable and thus can fully revert back to nature. REFIBRA™ technology uses post-industrial cotton scraps left over from cutting operations and wood as raw materials. 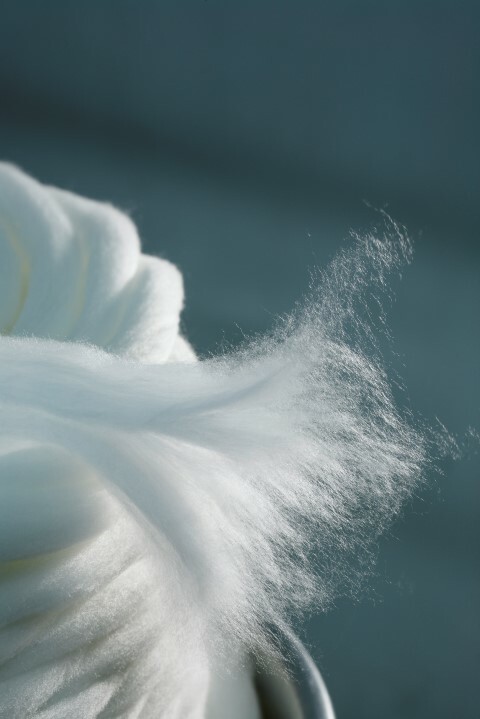 TENCEL™ fibers with REFIBRA™ technology are identi­fiable in yarns, fabrics and ­final garments due to the special identi­fication technology designed to con­firm fi­ber origin. Waste legislation: Recycling converts waste into a product, but it is often pretty unclear at which point the transformation actually happens. Standardisation: Unlike for waste paper, there seems to be no standardisation/classification for used textiles. Often times it is up to a sorter/collector to decide how to separate and grade the materials. Textile design: Most textiles are often not designed for recycling. Most of the time complex material blends are used, which are hard to separate at end of life.